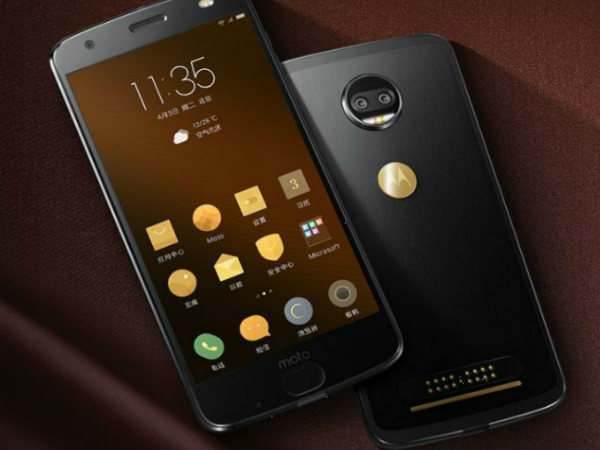 The Moto Z (2018) device is not entirely a new device but it is a re-named or rebranded Moto Z2 Force device for the Chinese market. Lenovo owned Motorola has now announced Moto Z 2018 and Moto Z 2018 Kingsman Special Edition in China. However, the Moto Z (2018) device is not entirely a new device but it is a rebranded Moto Z2 Force device for the Chinese market. Motorola Moto Z (2018) comes with a similar design language as the Moto Z Force edition and features a brushed metal rear which is made out of series 7000 aluminum, there is an all-around antenna line, redesigned moto mod connector pins, and a glass front. However, the Motorola logo has now been given a gold coating. As for the specifications, Moto Z (2018) comes with a 5.5-inch AMOLED ShatterShield 2K display. The smartphone is powered by Qualcomm's Snapdragon 835 SoC which is coupled with 6GB of RAM and 128GB of internal storage The storage is expandable up to 2TB via MicroSD card slot. Talking about the cameras, the handset sports a dual Sony IMX386 12MP cameras at the rear with a monochrome + RGB format. Up front, there is a 5MP OmniVision 5695 front facing the camera with LED flash. 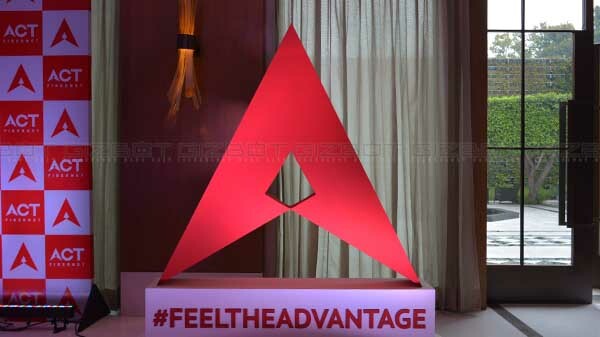 The device is backed by a 3490mAh battery and comes with TurboPower charging feature. It runs on Android Nougat. A Moto Style Mod that adds wireless charging comes bundled with the device. 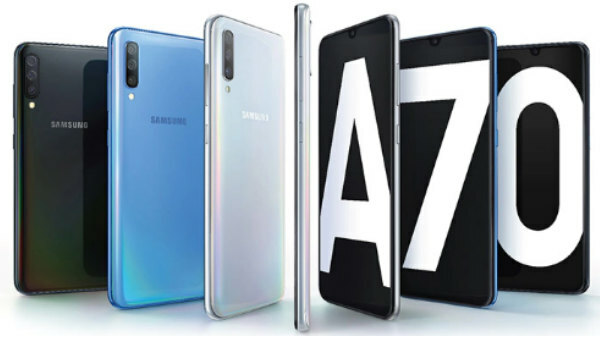 The smartphone feature USB-C 3.1 port at the bottom and offer connectivity options like Wi-Fi, GPS, Bluetooth, NFC, USB OTG, 3G, and 4G. Sensors on the phone include Compass Magnetometer, Proximity sensor, Accelerometer, Ambient light sensor, Gyroscope, and Barometer. As part of the launch, Motorola has also introduced USB-C earphones which it refers to as world's first USB-C Hi-Fi headphones. It is the in-ear type with a 120cm long braided cable and an in-line control with volume buttons and a call button. Apart from this standard device, Motorola has also launched a special edition of Moto Z 2018. 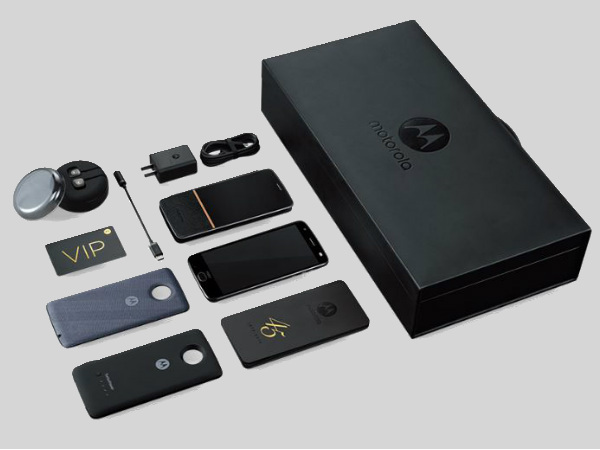 Dubbed as Moto Z 2018 Kingsman VIP Special Edition it bears same designs and specs as the regular variant, however, the special edition comes with nifty other features, The handset is available in a good looking box designed like a briefcase and consumer will get some VIP Card, TurboPower battery mod, wireless charging mod, USB-C to 3.5mm audio adapter, leather flip case, 45th-year-anniversary notepad, the USB-C Hi-Fi audio headphones, and a warranty card along with the smartphone. The Moto Z 2018 Kingsman VIP Special Edition is truly special in that it's priced at CNY 9,999 which roughly translates to Rs. 98,070.